Whether you’re a total novice to scuba or have countless dives under your belt, Key West is a great place to scuba whatever the level. Coral reef habitats and wrecks located just miles offshore are all close at hand and swimming with activity. Traveling to Key West and planning to scuba dive? 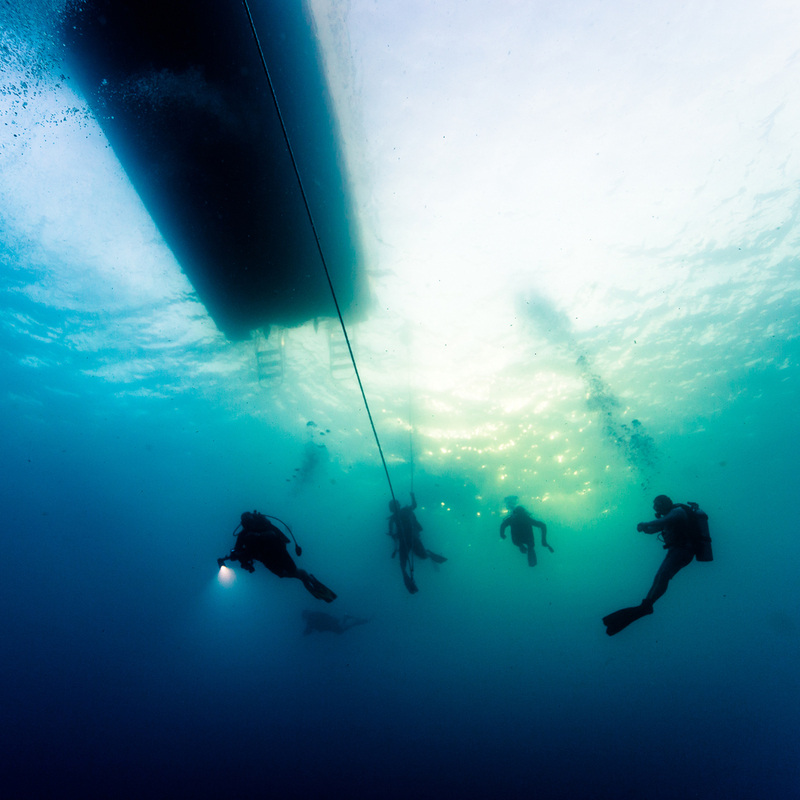 Seeking PADI certification? Here are the three best scuba dive options on the island. This 5-star dive center has been operating in the Keys since 1985 offering scuba courses, day trips, and single-day scuba diving courses for novices. Scuba courses include equipment, instruction, boat trips and certification. Most trips with Captain’s Corner are in the National Marine Sanctuary so conditions are ripe for spotting active marine life. Explore the Vandenberg wreck – a former WW2 transport ship that was sunk in 2009 to create an artificial reef. Booth at 631 Greene St.
Lost Reef Adventures has a long-standing reputation in Key West for its exceptional professionalism and friendliness. Lost Reef offers dives of the Sambus reef, wrecks and more. Sign up in advance for classes to earn your PADI scuba diving certification, open water certification and more, all at a fair price. Booth at 261 Margaret St. If you’re an experienced diver looking for something tailored to your liking, consider Blue Water Charters. Their dive planning specialists will organize your trip according to preference, with half or full-day options. Discover the Looe Key West National Marine Sanctuary and see eagle rays, reef sharks and loggerhead turtles in their natural habitat. Dive the Vandenberg wreck to see what coral species, sponges, invertebrates, sea fans and sea whips have made the ship their home. Marina Slip 2 at 617 Front St.